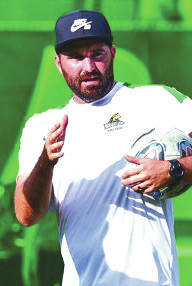 FAIRBORN — Jake Slemker, former Raider player and current associate head coach and recruiting coordinator, has been named the head coach of the Wright State University men’s soccer program. He replaces Bryan Davis, who resigned to pursue opportunities outside of coaching. The Raiders also succeeded in the classroom, with players a cumulative grade point average of 3.0 or better seven consecutive years.